2.2 / 5 Score from 1 reviews. Location: The mountain hostel Treshtenik is situated on the southern slopes of Rila in the area of Treshtenik at an altitude of 1764 m above the sea level, 40 km from Razlog, 14 km north of Yakorouda and 150 km from Sofia. It is situated nearby National Park Rila, which is famous with its various vegetation, animal species and inhabits peculiar and remarkable landscapes and inanimate nature objects. Accommodation: The mountain hostel offers 69 beds located in 14 double rooms, 6 three-bed rooms, 2 four-bed rooms, 3 apartments and 2 tourist rooms with five and nine beds. All of the rooms are with own bathrooms. The hostel features a restaurant, day-bar, tavern and outside grill. There are excellent conditions for winter, summer and wild nature recreation for the guests of the mountain hostel. 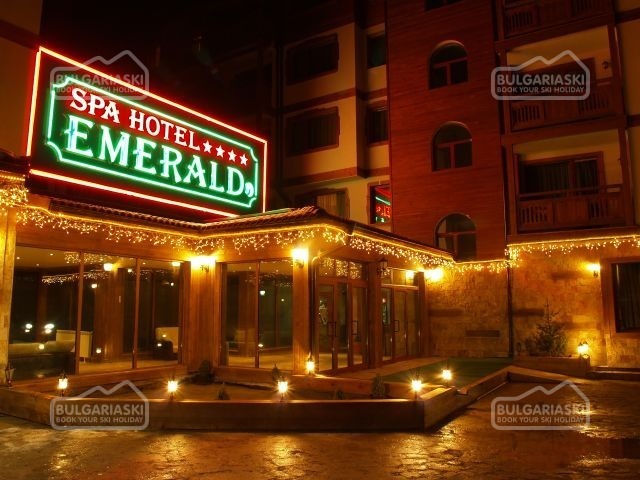 They can also enjoy the Rila mountain forests, crystal clear mountain lakes and fairy landscapes. If a rearrangement is made pedestrian tours with guide, horse and cart passages, hunt and fishing, picnics, green schools and conference tourism can be organized for the guests. Please, post a comment on Villa Treshtenik near Yakoruda. * The rates are in EUR, per room/apartment, per night, rent only. When I wood have the possibility to do it again, i would take a class higher and i think i would go to Bansko.